Description Penn Central (PC) Railroad Orange Route of Metroliners Club Car Breakfast Menu with a code of PCC-B-8 - Unlike most Metroliner menus, this example has two different options, one on the front, one on the back. Most had a selection on the front and drink menus on the back. 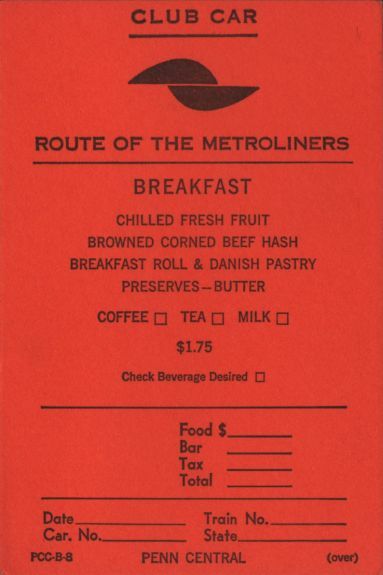 Offered are: chilled fresh fruit, browned corned beef hash, breakfast roll & danish pastry, preserves - butter and a choice of coffee, tea or milk for $1.75. 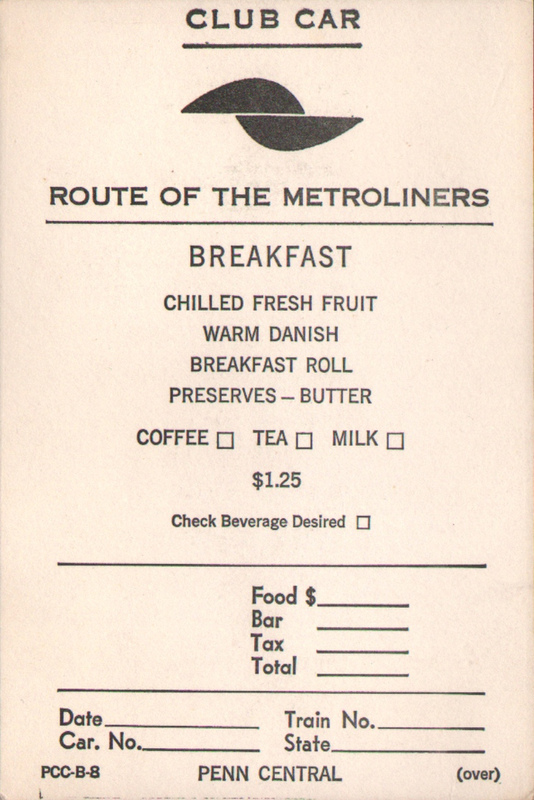 The second choice is chilled fresh fruit, warm danish, breakfast roll, preserves - butter and a choice of coffee, tea or milk for $1.25.